that are perfect for any outdoor get together. Combine all dry seasonings and ingredients in a bowl and mix. cover with foil and place in the refrigerator for 1 hour. Cut the pork ribs in half so that there are 4 total ½ racks. cover with foil and cook in the oven for about 4 hours. and quickly sear on a hot grill (450° to 550°) for 3 minutes on each side. 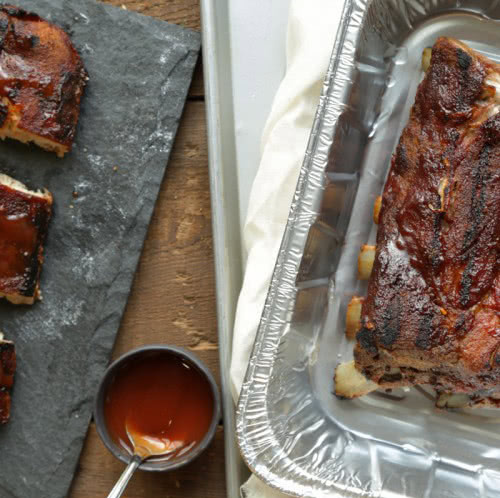 Serve the ribs with the remaining ½ cup of BBQ sauce.